We are investigating networked single-board computers (like Rasberry Pi devices) for micro-datacenters and federated micro-clusters. Currently, we have around 1000 Raspberry Pis at various UK university sites (Cambridge, Glasgow, Loughborough and Southampton). We want to scale up this number, to build a distributed UK-wide testbed for system experiments. (2) Put your packaged pi into a Jiffy bag. your email address, if you want acknowledgement when we receive your donation. your full name, if you want to be listed on our Wall of Fame. 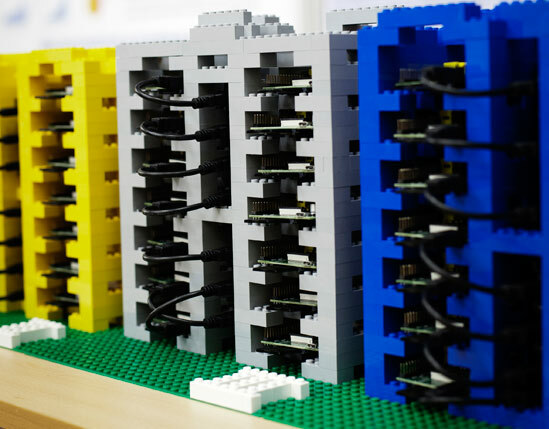 We aim to set the Guinness World Record for the Largest Raspberry Pi Cluster. We believe this record is currently held by the Los Alamos Labs 750-node cluster. We also want to break into one of the energy-efficient supercomputing league tables, perhaps Green500 or GreenGraph500. Shall I send you my SD card as well? Thanks. We happily accept Raspberry Pi boards with working SD cards still inserted. Note that we will blank the SD card and write our own image to it. My Pi is broken. Do you still want it? Sorry. If you have fried your Pi then it is no use to us. We recommend you dispose of it responsibly. 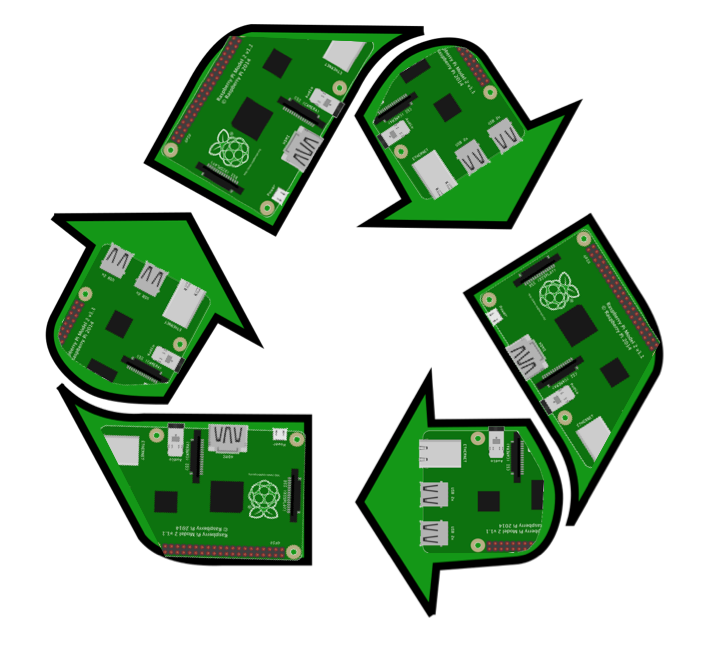 How do I donate several Raspberry Pi devices at once? Brilliant! Thanks for your generosity. If the devices will fit into a single parcel weighing less than 1kg then please post the parcel to FREEPOST PICYCLE. For larger consignments, please contact us directly to arrange pickup. I live outside the UK. Can I send you my Raspberry Pi? and post via your local mail service. Do you want power adapters for the Raspberry Pi, or other cables? We are building custom racks for our Raspberry Pi clusters, so we do not require mains power adapters. Save these power adapters for your other devices at home. USB A-Male to Micro B cables would be welcome however. Which models of Raspberry Pi can I donate? We accept all models of Raspberry Pi. Our current collection is highly heterogeneous. Do you accept other Single-Board Computers apart from Raspberry Pi? Yes please. We welcome donations of clones like Banana Pi, also BeagleBone boards. If you have anything particularly exotic, please contact us to check whether it is a suitable donation.